Infamous record label trio Hessle Audio are taking over Bristol’s Crazy Legs tomorrow night for a night of dancey madness! I really shouldn’t have to tell you anymore, by now you should already be running to get tickets. 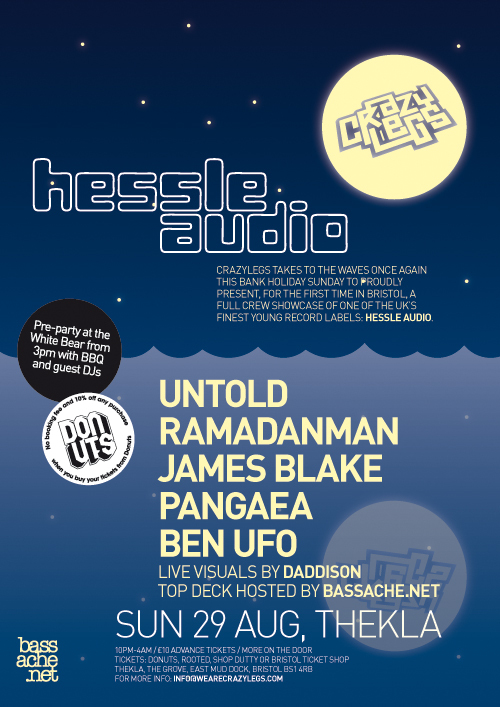 Incase you’re not, let me mention Untold, Ramadanman, Pangaea, Ben UFO and James Blake … on a disused boat. You still there? Tickets are only £10 in advance, a little more on the door, so there is no excuse not to go if you are anywhere near Bristol tomorrow night. 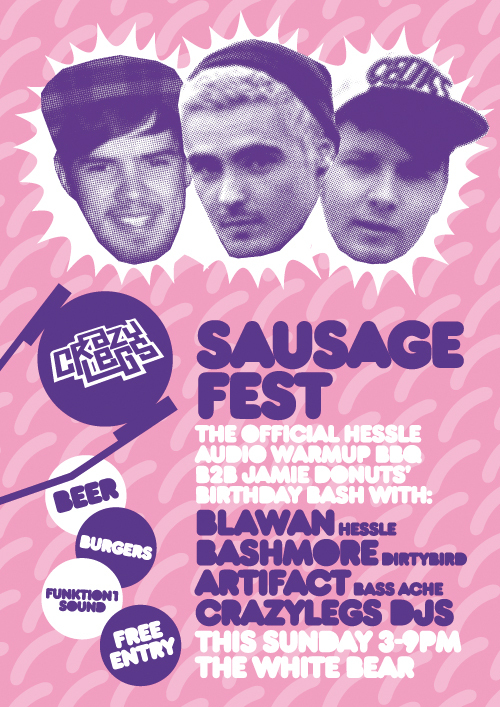 Check out the pre-party/Jamie Donut’s birthday bash as well, with Hessle new boy Blawan and one of my favourite up & coming talents Artifact on the decks.